Too many days in a row, I had not had enough “hands on” work to do. So I decided to build a little toy that Zechariah would like. 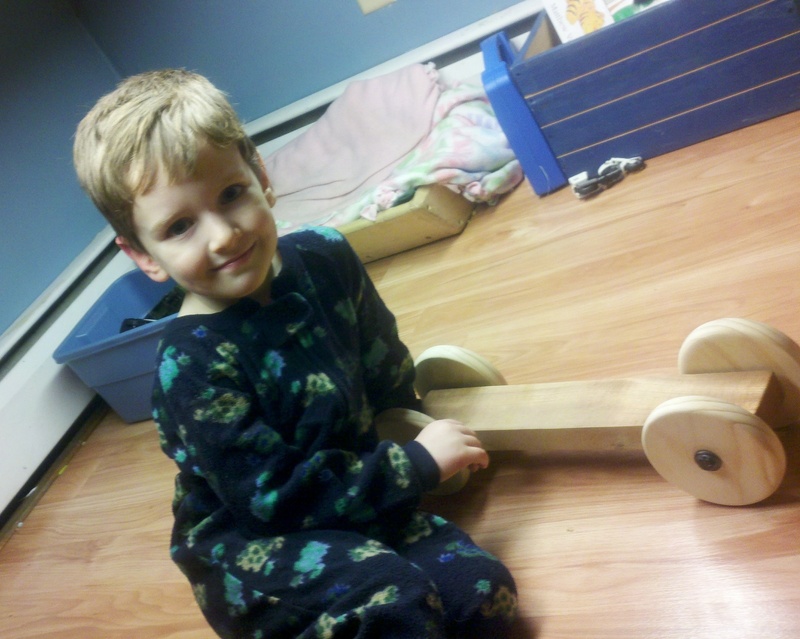 Four wooden wheels, some bolts and washers, and a block of wood for the body, and we made a cool little car (or skateboard). In the middle of it, this little girl showed up all by herself in the workshop wanting to help. So she put all the washers on. Eli, of course, was there as well turning the wrench. We used 5/16″ bolts with a smooth shaft for the first 1″ or so as an axle. We just turned them right into the wood, drilling the hole in the wheels a bit bigger, and the hole in the body a bit smaller for a snug fit. 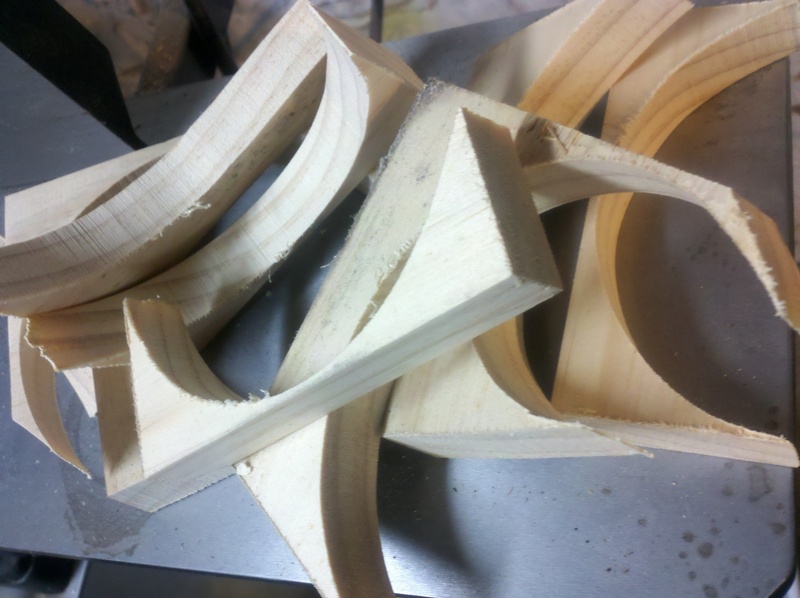 Here are the scraps left over after bandsawing. I did a quick job of cutting them, so they were not exactly round. 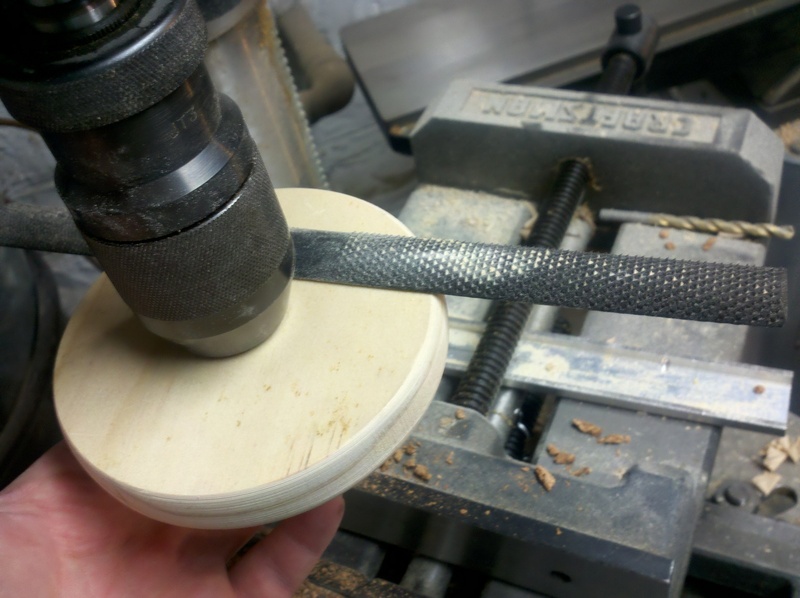 I used a drill press and a rasp to round out and smooth the wheels down. Finally, here is Zechariah quite fond of his new toy. 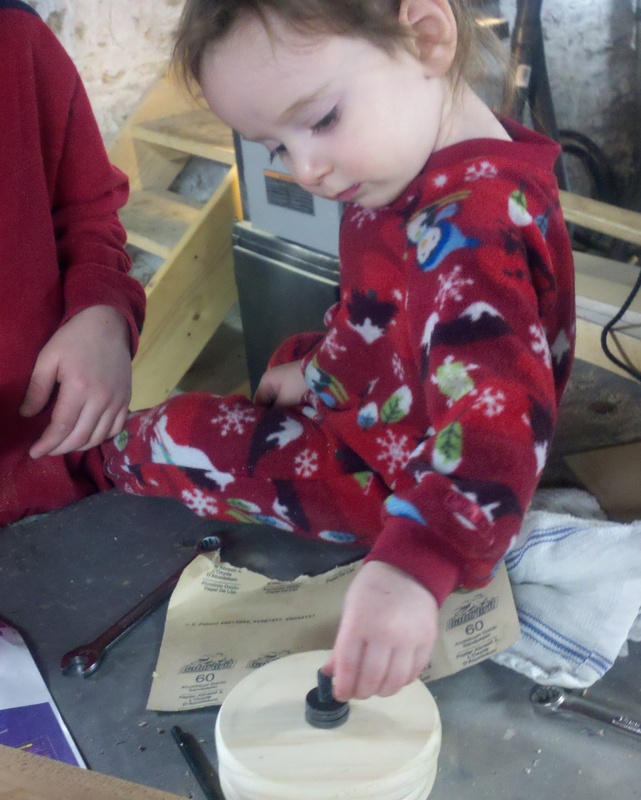 Another confirmation that we don’t need super-slick toys — kids love stuff that is simple. 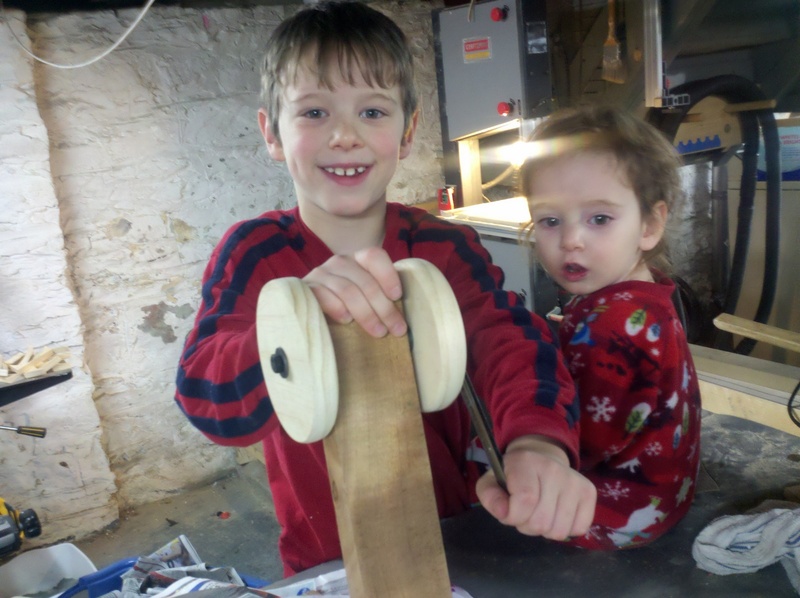 This entry was posted in Engineering, Fun, Life, Projects, Technique and tagged Kids, Projects, Toys, Wooden Toys, Woodworking. Bookmark the permalink.